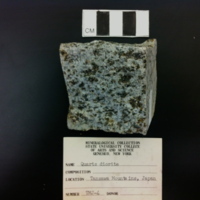 The sample has black to green phenocrysts with a greenish white matrix. 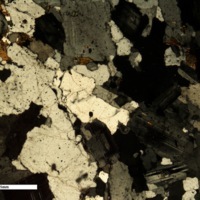 It has phaneritic grains with a aphanetic matrix. Phenocrysts are coarse to fined grained ranging from 0.1~1cm in size. There is a chalk like powder on the outside of the sample (white). There are deep fractures running to the center of the sample. 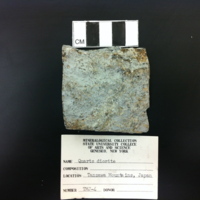 It is likely that the sample underwent chemical weathering by oxidation. 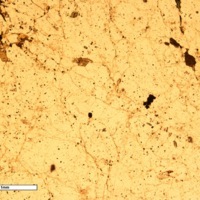 The chemical weathering is evident due to the orange brown tint. 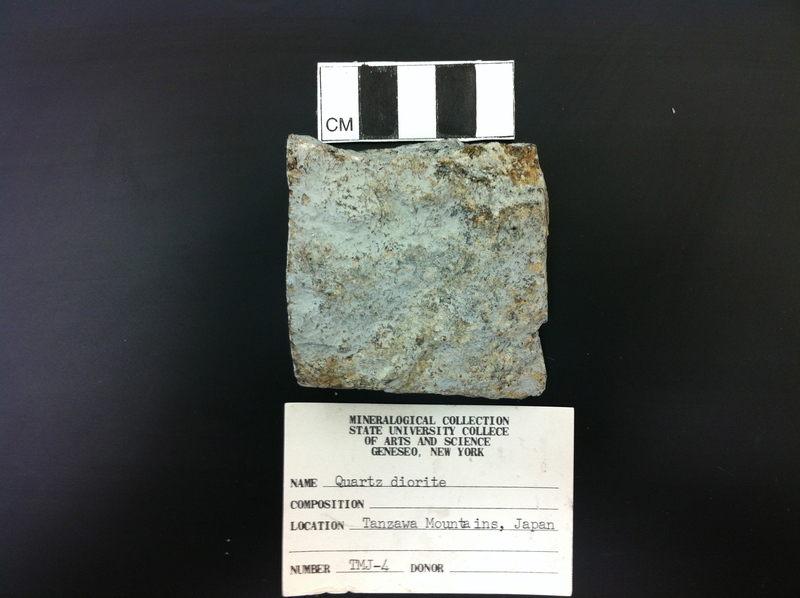 Overall the sample has a smooth weathered outside with rough gritty inside. Minerals are either medium in size. All the minerals seem to have intergrown in the quartz crystals. 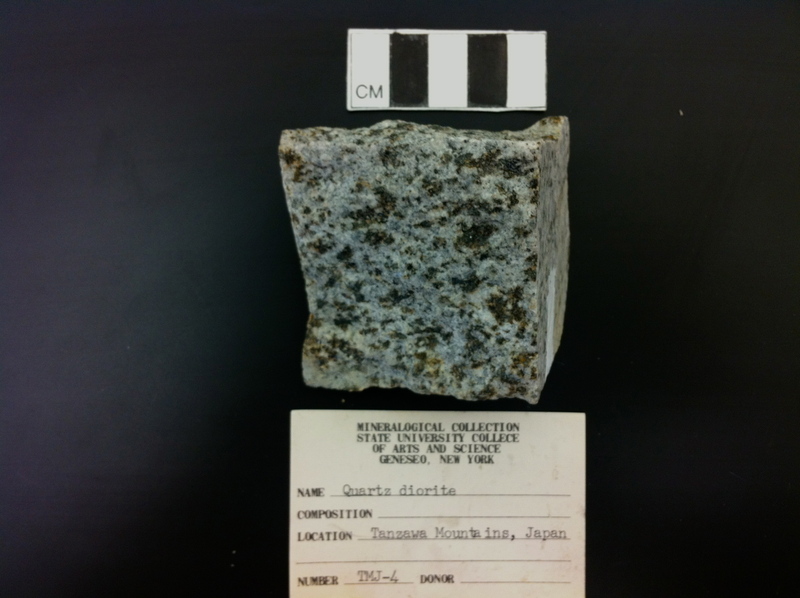 “Quartz Diorite,” Geneseo Geoscience Collections, accessed April 25, 2019, http://www.geosciencecollections.milne-library.org/items/show/338.